Jim Agius has lived in Colorado since 1970, where he fell in love with the Rocky Mountains and the majestic Southwest. Much of Jim's inspiration comes from the beauty of his surroundings, and a free spirited lifestyle. Art has been a way of life for him, beginning in early childhood studying the work of Jon Negi, and more formally in high school in St. Louis, Missouri. After serving in Vietnam as a paratrooper, he continued his studies at Central Missouri College before moving to the West. His close connection to nature comes from years of mountain living. Log cabin building, and forest fire fighting has given him a keen sense of the subjects represented in his work. Besides teaching sculpting himself, Agius has devoted considerable time in the past years to intensive private study with artists such as Tom Schomberg and Lincoln Fox. He continues to attend workshops with other internationally recognized sculptors including Fritz White, and Dan Ostermiller. In 1989, Jim was awarded the prestigious "Romcyn Atelier" scholarship, and since has created many outstanding sculptures. 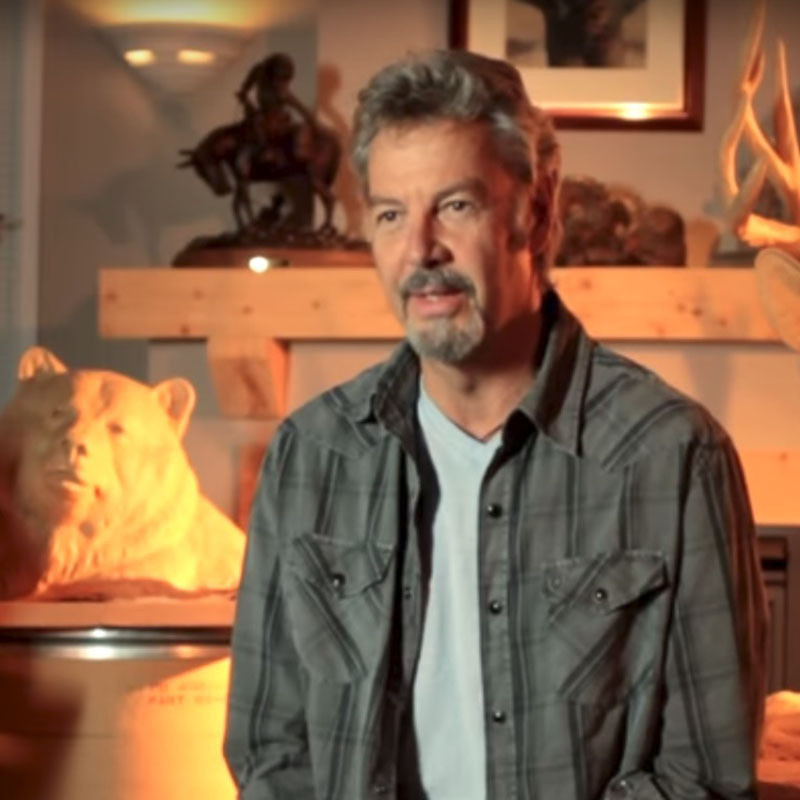 In 1995, Jim completed a monumental grizzly bear sculpture commissioned by Natureworks for permanent installation at the Gilcrease Museum in Tulsa, Oklahoma. His work is included in corporate and private collections, both nationally and internationally, including Bernard Baruch College, Ford Motor Company, Dennis Weaver, and other notable collectors. Agius has a particular interest in blending sculpture and nature in well planned landscapes. He enjoys concentrating on large scale site specific works for outdoor private and public installation. His commitment to his work, and his loyalty to the art of sculpting is reflected in composition, gesture, and the exceptional detail of each piece.